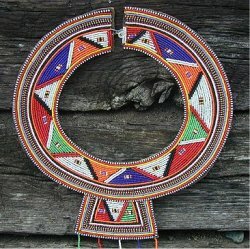 This page gives an overview about Kenya culture: both on the national psyche, lifestyle, rules in social life, the place of religion and the tribes, and more. Also have a look at my separate pages about Kenya art, music and language. 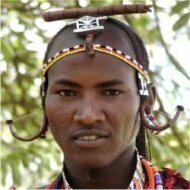 tribes in Kenya, depending on how you count. Although their role in Kenya culture is slowly diminishing, it’s still one of the most important facts of social life. As a result, national consciousness is quite weak. The focus on the tribe is holding the country back in some ways. For example, tribalism has led to favoritism and corruption in politics. Members of one tribe ‘help’ each other with benefits and voters all too often support a politician because of his ethnicity, rather than his ideas and capabilities. Family, however, is even more important than tribe in Kenya culture. It’s common for a family to live together with uncles, nieces etc. Family bonds are strong. Although it’s common for a father and mother to leave their children with family and work in another city, this is usually inspired by the wish to support their family better. Daycare is not very widespread in Kenya although rich families may hire nannies. Traditional cultural views to a large extent are what hold the country together. Traditional gender roles create a well-defined social structure with stiff morals at its core. Women are often the backbone of village life, as they do the bulk of the work. While women are visible in society, and can get into higher paying jobs, their role in society remains limited and often rigid. Read more about the attitudes of Kenyan men towards women here. Within Africa, Kenyans enjoy a reputation as hard workers and at 7 o’clock the streets are crowded. However, Kenyans take it easy and have a casual approach to time. The phrase “Hakuna Matata” (which you may know from the Disney movie, The Lion King), meaning “don’t worry and enjoy life” is actually Swahili, which is the official language of both Kenya and Tanzania. You’ll hear that a lot, especially along the coast. Making appointments days in advance, as in North America or Europe, is often useless in Kenya culture. Better call an hour before you want to see somebody, and ask whether he is around (if he is, he will drop his work). Of course, the more important an official is, the longer you’ll have to wait outside his office, even if he is inside doing nothing. If somebody is 30 or 60 minutes late for an appointment, he is considered to be perfectly in time in Kenya. The first days, you will be annoyed, but pretty soon you’ll come to like to slowness of life and go along with it. Kenyans like to laugh and quickly offer a smile to people. The British influence is still visible in their politeness, and also in the outer appearance of streets and buildings, signs etc. which look a bit like Britain in the 1960s... A Kenyan will take the time for you if you ask him something. If there is just anything unusual, a crowd will assemble within a minute around you and everybody will offer his opinion on what’s going on. Even foreigners are quickly invited to participate in whatever’s going on. Kenyans often use proverbs and sayings to comment on things. They are typically comparisons drawn from everyday life, and show some very down to earth, good humoured wisdom. See my collection of Kenya proverbs here. When meeting someone, a Kenyan will greet him extensively. Shaking hands is normal between men when meeting and departing. Women also shake hands with each other, but with men only in more sophisticated circles. Kenyans naturally touch each other easily, like in Latin culture. Be aware of the fact that the left hand is seen as unhygienic. So use your right hand to pass things to someone, to touch somebody, etcetera. However, this rule is not always followed and just ignore it then. Pointing your finger at someone is seen as rude. Kenyans dress conservatively. Kenyan men wear shirts and long trousers, often with a blazer or sweater. Women wear long trousers or skirts below the knee. This is even more so at the coast, where the majority are Muslim. But you won’t get into trouble for wearing shorts and T-shirts – Kenyans are too polite to make comments. See my separate pages on the national dress – or the lack of it – and on which clothes to wear in Kenya as a traveler. You should note negativity towards homosexuality is quite widespread in Kenya. In polls, 96% of Kenyans stated that homosexuality should be rejected by society. It is thus important to be extremely discrete. Most Kenyans are nominally Christians, although many mix it with traditional religious beliefs. You’ll encounter for example a widespread belief in witchcraft. Witches are thought to cause illnesses and can put a spell on women so that no man will ever look to her again. The coastal province majorly practices Islam. In the country’s east, the majority of the Kenyans are Sunni Muslims, they make up 11% of the population.